This is a completely new recipe. First you roast about 8 butternut squash after dicing into medium cubes. Then you cover the squash with leftover Cauliflower Soup. Next you add about 1 bundle of asparagus. I use my pencil which makes this easier. Don't forget to trim and if it isn't pencil, chop. I let that simmer for a few minutes. I then blend, adding vegetable stock as needed. I then add about 1-2 table spoons of Chinese ginger, powdered and nutmeg powdered, to taste. I also season with black pepper and sea salt. Add enough stock to allow the soup to blend. Blend until smooth. 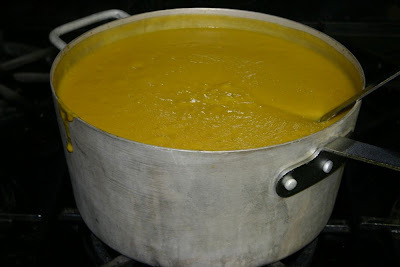 I return the blended soup to a cooking pot and let simmer for about 1/2 hour and serve. This is very complex and yummy. Here's a little color theory for you. 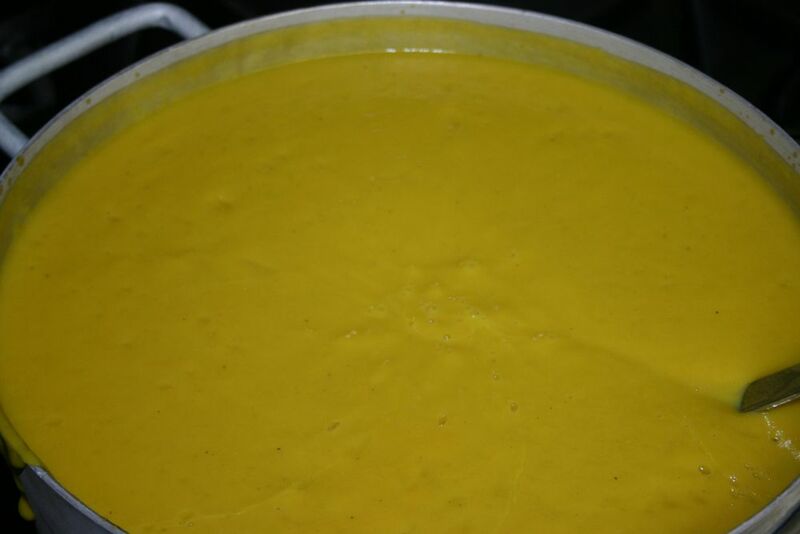 Notice the Day-Glo yellow you get by mixing the orange squash and the burnt umber stock with green asparagus and lightening it with white cauliflower soup? Halloween Cats. Get some today. We sell them year round for cat lovers but now's the season for our Wonderful Cats, the White Cat, the Milk Cat and the Dark Cat.